4.96 out of 5 based on 108 user ratings. 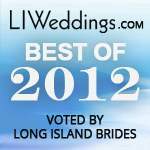 I had my wedding at the Manor & there was NOTHING that the staff didn't do for me, my husband, our bridal party & guests. The day was a absolutly beautiful, the food was amazing & the grounds was stunning. My Wedding part 2 of 2 Claudia was my best friend on the wedding night! It was raining so she was able to simultaneously hold an umbrella over my head and hold my dress up so it wouldn’t get wet on the ground. Now, my dress was huge so I’m still shocked at how she did it all! Obviously, because my dress was so big, I needed help using the bathroom. She insisted that she help me instead of bothering my bridesmaids during cocktail hour. She was amazing!! She told me exactly how to stand, as she lifted my dress and pulled down my spanks! I was able to pee with no problem! Claudia came with me, my husband, my photographer and videographer outside while it was drizzling to get some outdoor pictures. She did a fantastic job making sure the bottom of my dress stayed as dry and clean as possible! I accidently got my hand in some mud without knowing, then went to pull my dress up and got a HUGE mud stain on the front of my dress! Claudia worked tirelessly to scrub that stain out of my dress before our entrances into the reception! You couldn’t even see it anymore! She was a lifesaver! During the cocktail hour and reception, all of the bartenders and wait staff were so professional and attentive to our guests. So many of our guests raved about the service at Westbury Manor! The food was OUTSTANDING at both cocktail hour and dinner and the cookie craze for dessert was a huge hit with everyone! 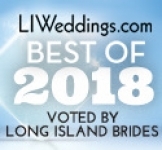 I HIGHLY recommend any brides looking for a top-notch venue that honestly treats you like royalty; to please visit the beautiful Westbury Manor!! Thank you to everyone at the Westbury Manor! Wedding Review part 1 of 2 There are not enough amazing things I can say about everyone at Westbury Manor. The house is breathtaking. 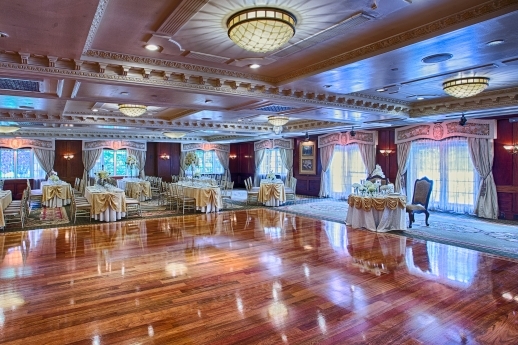 From the main lobby, to the library, to the conservatory to the main ballroom, all of the rooms inside Westbury Manor have such a feel of old and vintage romance. 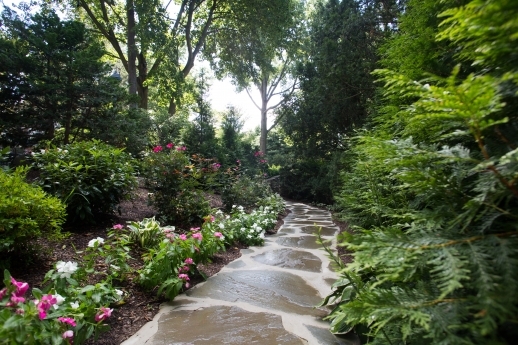 The grounds outside are beautiful year round, even when flowers aren’t in bloom. Our first visit and initial meetings with Mary were so helpful, she answered all of our questions and worked with us so we stayed in our budget. 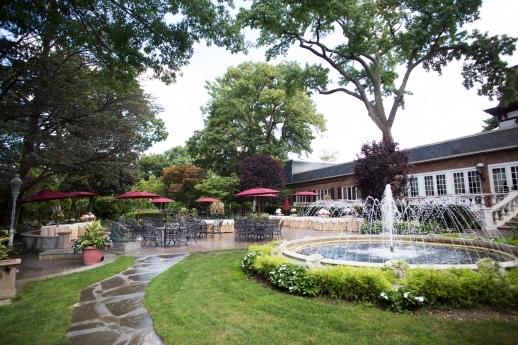 Every time we went to Westbury Manor to make a payment or ask questions, we were treated so, so well. When it got closer to the wedding, Melissa was great to work with planning the menu and Jake was absolutely fantastic during our final meeting the week of the wedding. He answered ALL of our last minute questions and addressed our concerns, and whatever he could not answer with confidence himself, he got an answer right away for us. Fast-forward to the wedding day…Phil was our maître’d and Claudia was our bridal attendant. MY GOODNESS they were fabulous!! They both went above and beyond their call of duty to make sure our entire experience at Westbury Manor was flawless. Phil was there for our entire bridal party and parents to make sure we had drinks in hand when we wanted them, to constantly check in and make sure if we needed anything and get it for us if need be, and he did it all at the drop of a hat. An example of this is I forgot to tell my florist to add flowers to our wedding cake and it ended up being so bare looking. Phil had an idea and was able to take some flowers from each of my bridesmaid’s bouquets to make a flower arrangement on our cake and it was more GORGEOUS than I had envisioned! Phil decorated our reception space beautifully and so specifically to what I had requested with all of the décor I brought in. He was a true superstar on our wedding day and it wouldn’t have been as flawless as it was without him! We visited for an appointment on 1/22. From the moment we walked through the doors of the Westbury Manor, we were treated like we were already booked clients of theirs. We received a warm welcome; they offered us light breakfast and drinks as we waited to meet with their Banquet manager. While we waited, we met Jerry, the owner who was so attentive to every guest who came in before and after us. He even personally gave us a tour of the venue before he handed us off to Mary, the sales manager. He's definitely not one of those absent owners who you never encounter. 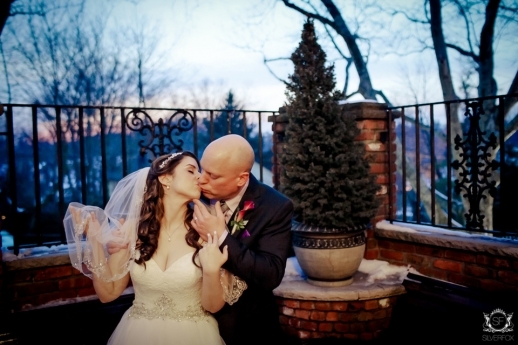 He is very involved in the operations of the venue, and personally extends himself to couples who consider/choose the Westbury Manor to realize their wedding dream. We met with Mary to explore the rest of the mansion. We then sat down to discuss the details of the menu, pricing/package, guest count and desired time frame for our wedding. She was incredibly helpful and answered many of our questions before we could even ask! She genuinely cared about our concerns; she instantly looked to see what she could do to make it work for us. You can tell she finds joy in being a part of making people's wedding dreams come true. Unfortunately, the date we really wanted was NOT available for spring 2018, which is not a surprise, considering this venue is well known throughout L.I. & NYC. Now that we've experienced their service first-hand, there's no doubt couples who book here are in good hands. Westbury Manor went above and beyond to make our wedding one of the best days of our lives. Their professionalism, quality of food, decor of the ceremony and cocktail rooms, outside grounds and attention to detail far exceeded our expectations. The staff made sure that they got everything right. Our Maitre D Phil made sure everything ran smooth, including setting up the vendors, arranging the room to our liking, and were in constant communication with me and my wife to make sure we were happy. They set up our display tables illustrating our love story perfectly. Kelly and Lexi did an excellent job making sure my wife and her bridesmaids were attended to, fixing their dresses, bringing us food and beverages during photo shoots, and even cleaned up my dad's tux which got coated with flour - still don't know how he managed to do that. There were more than five food choices for the main dinner, cocktail hour had an endless supply of appetizers, and we got a zeppole desert cart thrown in at the end. Westbury also did a great job catering to our guests. A special thanks also goes to Mary for helping us throughout the wedding process. 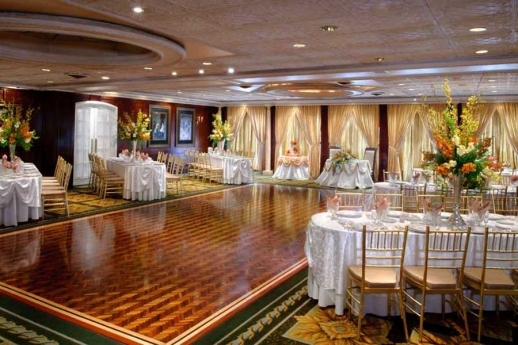 The Westbury Manor offers classic "Gold Coast" elegance with a refined, exquisite atmosphere, the ideal setting for the wedding of your dreams. 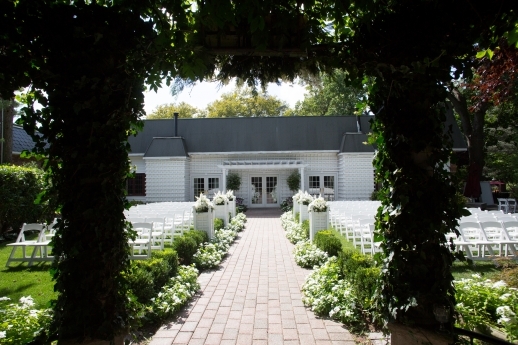 At The Manor, we can assure one wedding at a time so you can truly Make the Manor Your Own. 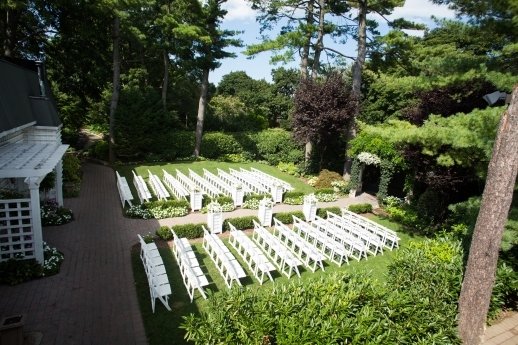 You and your guests can wander in the beautifully landscaped, 5-acre garden the perfect backdrop for unforgettable photographs. 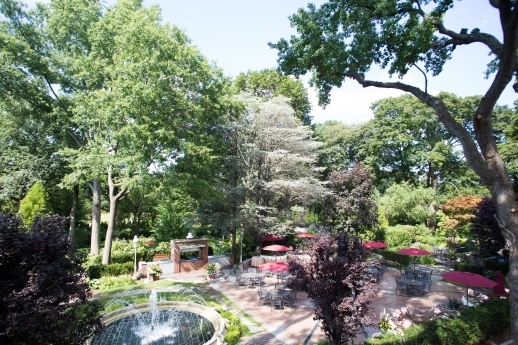 Enjoy a sun-drenched cocktail hour in our conservatory where you can sip champagne, laugh, and reminisce. Continue the night with a delicious made-to-order meal in our elegant dining room, sure to leave your loved ones speechless. 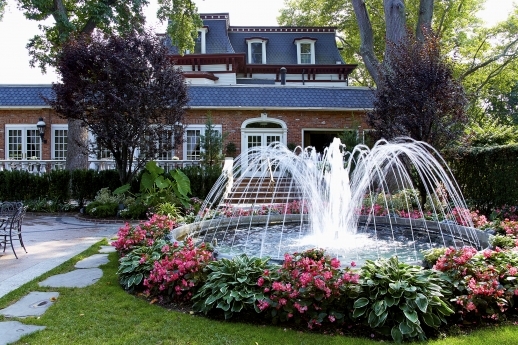 The Manor is owner-operated and detail-oriented, ensuring comfort to you and your guests. Breathe easy knowing you can take advantage of every second of the day and enjoy each moment like you dreamed you would. 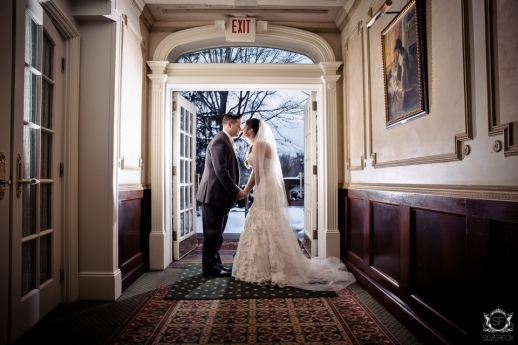 Make sure your special day is truly yours — Reserve at The Manor. To make the celebration a little more seamless, we have introduced our new Wedding Planner App, exclusive to The Westbury Manor. Our innovative technology helps you keep track of everything from the bachelorette party, the budget, the vendors, and beyond. Let The Westbury Manor be home to one of the greatest moments in your life, and do it with confidence. 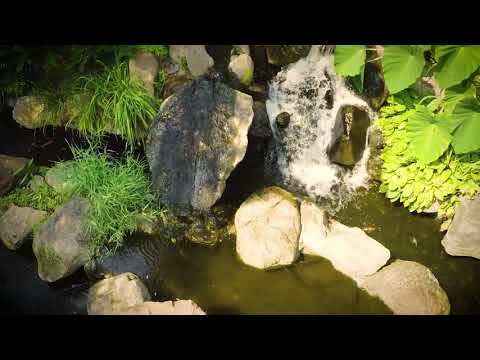 We Invite you to tour The Manor and experience all that we have to offer. Our Professional staff is available to answer any questions you may have regarding your special ceremony. 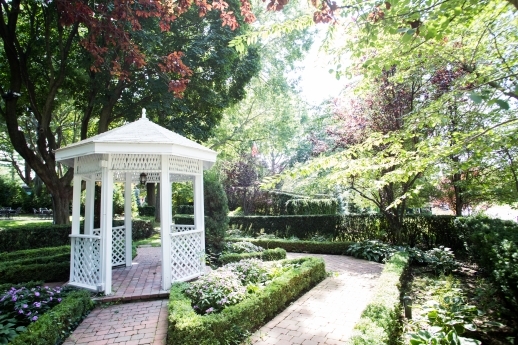 Visit us at www.WestburyManor.com or call us at (516) 333-7117 to discuss the details of your visit.